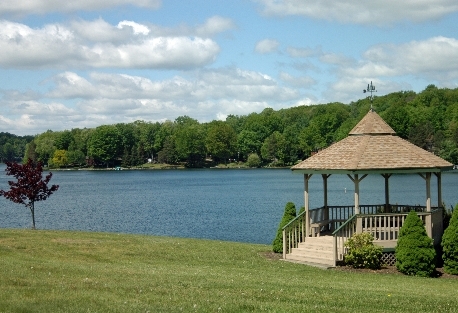 Treasure Lake is a gated, semi-private community covering 9,000-plus acres in the Allegheny Mountain foothills of north-central Pennsylvania. It is just two hours from Pittsburgh and an hour and 15 minutes from State College. Admired for its natural woodland beauty and serenity, this rural enclave of 2,400 homes has excellent amenities and a full calendar of activities for adults, children and families. Send me more information about Treasure Lake! 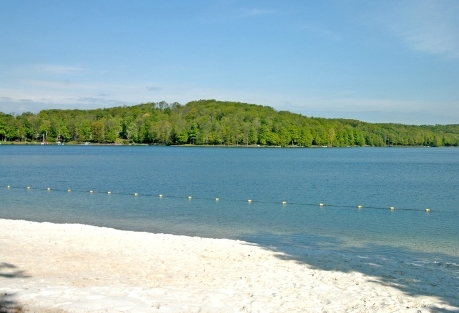 Located just south of the Allegheny National Forest and adjacent to Pennsylvania State Game Lands, the community has an active life on the water. Three lakes with beach areas, marina and swimming pools keep residents cool all summer long. The area provides anglers with many varieties of fish, including bass. Children under 12 and seniors over 65 enjoy heading out to the 4.5-acre Little Flipper Lake. Bass is fished in Bimini and Treasure lakes which frequently host bass fishing tournaments. A nature trail surrounds Little Flipper, and the area is known for its fly fishing streams. Many fishing enthusiasts also take fly fishing lessons at the community or at the local Penn State Campus. Life on land is pretty good, too. Two championship golf courses, tennis center, horse stables and two restaurants are all active hubs. The community is also unsurpassed as a haven for hiking and appreciating wildlife. Send me more information about Treasure Lake! Casual and competitive golf have been a staple of the community for more than a generation. The 18-hole, par-72 Silver Course measures 6,747 yards from the championship tees. The layout is relatively open and friendly to the beginning golfer. There are 70 sand traps and water hazards set on flat, open fairways, providing spacious landing zones from four sets of tees. The Silver Course hosted a U.S. Open Local Qualifier in 2011. 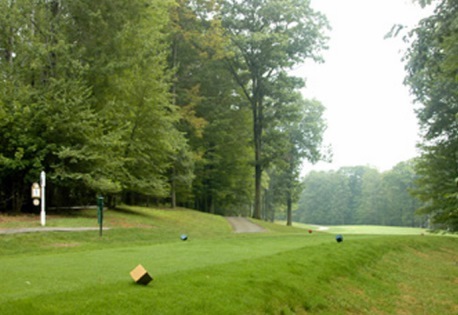 The Gold Course has been featured as one of the best and most affordable courses to play in Pennsylvania by Golf Digest. A par-72 course, it measures 6,283 yards from the championship tees. Send me more information about Treasure Lake! Treasure Lake is home to a Winterfest and Christmas Craft Show, Old Fashioned Fourth of July Celebration, Boat Parade and Treasure Lake Car Show. Other popular festivities include the Dubois Festival of the Arts, the Clearfield County Fair and the Central Pennsylvania Festival of the Arts in State College. Downhill skiing is about two hours and 23 minutes north at Peek ‘n Peak in New York State. Tussey Mountain Ski Resort (Boalsburg) also has a small downhill ski slope about an hour and 30 minutes away and Blue Knob (Claysburg) has downhill skiing about an hour and 50 minutes away. 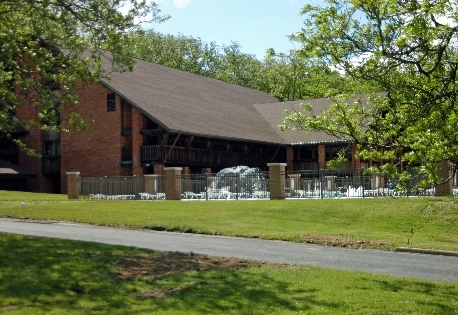 Treasure Lake is a great place to retire. Pennsylvania does not tax retirement income and the state lottery supports senior citizens. Real estate options range from single-family homes, condos, cottages to cabins with homesites starting at just $10,000. Send me more information about Treasure Lake! Send me more information about Treasure Lake! Treasure Lake is a small town that takes pride in its community and natural scenery. The state capital of Harrisburg is less than 120 miles away, while the city of DuBois is just a few miles south of the lake. Located within the county of Clearfield, the area is a safe haven to raise a family or enjoy retirement. Fishing, boating, and water skiing are great pastimes for people visiting Treasure Lake and Little Flipper Lake. The Treasure Lake Horse Stables offer boarding, sales and training to those owning horses. Captain Kidd Park, Cayman Landing and other beaches provide picnic pavilions, mini-golf and shuffleboard. Send me more information about Treasure Lake! Those who love hunting and shooting can contact the nearby Pennsylvania State Gamelands and the Treasure Lake Sportsman’s Club. Treasure Lake is only 30 minutes from Pennsylvania Wilds, offering millions of acres of unspoiled forests and mountains, and the Elk Visitor Center where visitors can see the largest herd of elk east of the Rockies. Send me more information about Treasure Lake! There are many restaurants and shopping opportunities in the DuBois area, as well as a high quality regional hospital with heart, pulmonary, cancer and orthopedic centers. Send me more information about Treasure Lake!